Brent Amsbury started ski racing in 1979 at Stevens Pass as a USSA junior and continued racing in college at Western Washinton University. In 1987 he became a certified ski instructor and taught at Mt. Baker ski school until leaving Western Washinton University to start his own ski shop (World Cup Skier Service) in Bellevue,WA. During his tenure of 18 years as owner of World Cup Skier Service, which he sold in 2005 to begin a new venture in Park City, Utah, Brent amassed several ventures in ski racing. Brent currently tours the northern United States providing stance / alignment services, and gives lectures on the bio-mechanics of ski boots to PSIA groups from Big Sky, Montana to Buck Hill, Minnesota.He owns Park City Pedorthics and Ski Boot in Park City, Utah and provides fitting services from entry level skiers to U.S. disabled ski team members and coaches. During the summer months, Brent builds foot orthotics for all types of ambulatory athletes and provides diabetic foot care for disabled and elderly patients. In the summer of 2007 Brent took on the role of President of ModernSkiRacing.com. In this role, Brent will coordinate the development of the training centers, camps, and technique productions as ModernSkiRacing.com grows. 1988-2005, Started World Cup Skier Service ski racing and performance shop in Bellevue,Washington. 1991-1999. Independent ski technician for FIS speed skiers, Floyd Conradi, Bob Freedman and Brian Taylor. 1993-1997 Ski technician for US Freestyle ski team member Nick Bass. 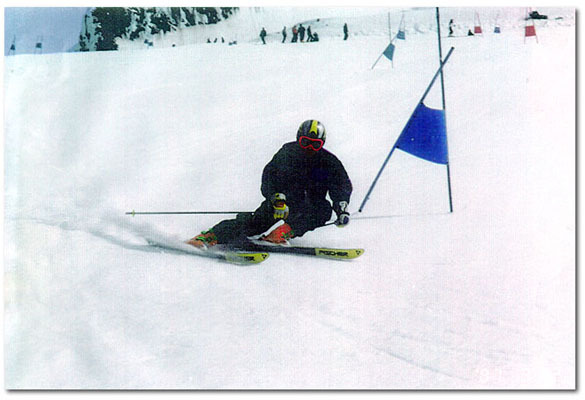 1992-1994 Assistant ski racing coach at Western Washington University. 1995-1998 Founded, directed, and coached with Jeffrey Sadis, Western Ski Camps at Whistler, Blackcomb and Mt. Hood. 1996 Started the first Fischer Skis test center at Mt. Hood, OR. 1998-2002 USSA certified coach for Team Alpental Snoqualmie, Masters ski racing group. 1999-2002 Summer ski technician for South America Cup, Czech womens FIS Europa team. 2001-2004 Board of directors member for Washington Ski / Snowboard Industries. 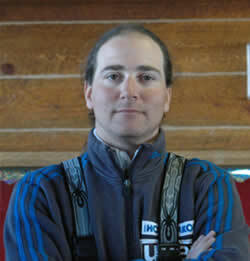 2002-2007 Ski boot consultant and foot orthotic technician for Stanley Hayer, World Skier Cross Champion, 2007. 2004-2007 Board licensed Pedorthist. Bio-mechanics guest clinician for PSIA Northern division and Central division. 2007 Opened up Park City Pedorthics and Ski Boot, Park City, Utah. Founder and CEO of ModernRacing; IDC, Inc.
Gary Dranow was an equestrian rider at a very early age, and switched to motocross in his teens, becoming a professional motocross racer by age 15. After a brief interlude in Southeast Asia, Gary began his skiing career in earnest when he was hired as a ski instructor at Snow Summit for the 1973-74 ski season. He become an Associate Certified ski instructor and quickly began coaching, working with the Snow Summit race department from 1977-1985. During that same period, Gary competed on the pro-racing circuit, and with Chris Riddle ran the recreational racing program at Snow Summit, including a night league that had over 400 racers. After leaving coaching at Snow Summit, Gary went on to race Masters in the Far West division, with his best finish being a 3rd place overall finish in the McCoy Cup 1986 slalom. He qualified for the 1987 Nastar Nationals with a 5 handicap at Mammoth Mountain, as one of two males out of the western region. He dominated the LA Council Elite 1 GS races from 1987-1990. In 1990, he took a hiatus from ski racing until returning to Nastar and Masters in the 2001-2002 ski season. Gary has been ranked #1 in his age group nationally, and in the top 20 men overall in Nastar for the last three seasons, despite having major surgeries in March of 2003 and March 2004. 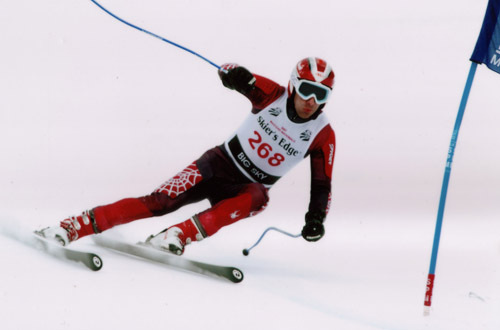 Having been involved in professional sports since the age of 15 he has developed an acute awareness of human kinesiology in sports activities, and began analyzing the modern ski racing technique at the 2002 Winter Olympics. From this initial analysis, Gary began a more in-depth analysis of modern ski racing, resulting in the MSRT. 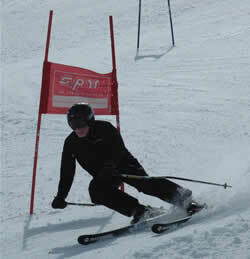 Gary was recertified as a veteran coach, receiving his Level 100 USSA Alpine Coaching Certification in 2004. In addition to ski racing, Gary is also an avid golfer, tennis player, and dog walker. In his spare time, Gary has been a businessman and CEO for the last 30 years. Gary is also the founder of the Modern Racing concept company, which started with ModernSkiRacing.com, and now includes ModernSoloRacing.com, formed around his involvement in autocross (solo) racing. Among being an International level coach for the Czech Republic, an International level coach for Slovakia and a National level coach certified with the U.S.S.A. Jeffrey has worked with world class Snowboarders and disabled skiers. Truly one of the most rounded coaching authorities and he is available to you through the MSR Team. Jeffrey started his coaching career as the head coach of the Western Washington Ski team where he was a scholar award winner as well in 1995. He then moved on and was the head coach for the Brighton Ski Team/Wolf Mountain Ski Team from 1996 to 1998. In late 1998 he founded Full Spectrum Training, a comprehensive independent World Class ski racing program. Through Full Spectrum he held many positions as head coach with various European Teams and in 2002 served as the Team Captain for Slovakia/Czech Republic men's alpine ski team for the Olympic games. Most recently he is serving on the World Cup Support team for Holmenkol/Uvex Racing Service for Alpine and Nordic World Cup competitors. 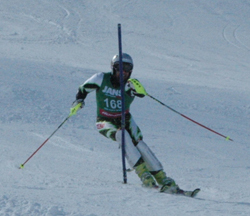 Erick started skiing at age two, and raced for King Ridge Ski Area in NH from age five to twelve. From age 13-16 he attended the Waterville Valley Academy. He qualified for and raced in four junior olympics in total, both as a JIII and JII. Erick is currently a certified personal trainer & sports performance specialist through the National Academy of Sports Medicine... and definitely on the comeback trail. In addition to skiing, Erick is an accomplished amateur golfer(.02 index), an avid mountain biker, and runner. Thunder Jalili received his B.S. and Ph.D. in Nutrition, Biochemistry and Molecular Biology from The Ohio State University. He completed a fellowship at Harvard School of Public Health in the Department of Cancer Biology in Boston, MA where he studied the role of carcinogens in genetic recombination. His second fellowship was at the University of Cincinnati Medical Center in the Division of Cardiology where he studied the molecular mechanisms that regulate cardiac hypertrophy. He is currently an Associate Professor in the Division of Nutrition at the University of Utah where he does research in cardiovascular disease and teaches nutrition. He began skiing at age 5 and racing as a teenager. He raced in USSA Central and Rocky Mountain Division before moving to the club racing scene at age 24. During his time as a club racer he was the number 1 or 2 racer in the Columbus Ski Club (Columbus, OH) for 4 years running. He also raced as a member of the Boston Ski and Sports club during 1997 (Boston, MA) where he was the number 1 racer in the club that year. Thunder also served as ski coach for four years in both adult and USSA racer programs. 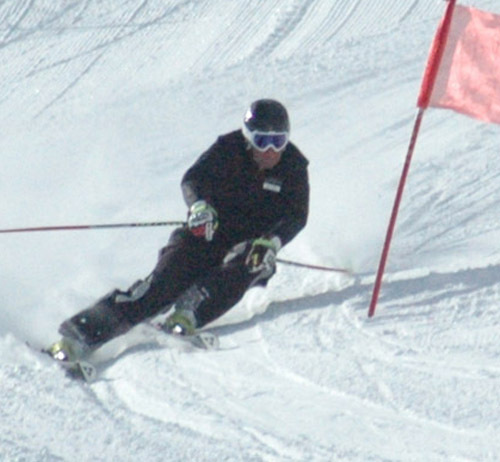 After moving to Park City in 1999 Thunder began his Masters ski racing career. He has been an active member of the Intermountain Division of USSA Masters, is a licensed Alpine Official, and is currently ranked 6th in the 2006 Intermountain leader bib standings. Bob Harwood is a USSA certified club coach. Bob has been involved in teaching skiing for 17 years, most recently coaching USSA racers at the J3, J4, and J5 levels. He has two children who are active racers in NASTAR and USSA. Bob has been involved in Martial Arts since he was 15. He earned his Ni Dan (2nd degree) black belt and volunteers his time teaching Mushin-Do Karate to children so that funds raised can be donated back into his local community. He is ardent in his view that sports, and particularly ski racing, can allow children to gain life skills in an emotionally safe and fun way. He brings his Zen philosophy, management experience, and sense of humor with him when coaching to help kids deeply develop three skills: the ability to sense right from wrong, the understanding of what makes them happy, and the capability to pursue that with passion and focus. In his spare time, Bob has earned his living as a developer, software architect, and project manager. Elizabeth Dranow, Ph.D., began skiing in 1989, and later became a level 2 ski instructor, working at both Snowbird and the Canyons, while completing her Ph.D. in Parks, Recreation, and Tourism at the University of Utah (entitled "Effects of verbal feedback on skier efficacy, skier performance, skier technique, and intention to take another lesson in first-time skiers"). Liz's ski racing experience consists of 3 years of racing Nastar, and the 2004-2005 ski season marked her debut in the Intermountain division Master's program, and has become an avid slalom skier. After working as a behavioral scientist at the University of Utah's Department of Family and Preventive Medicine until 2006, Liz now works on the website design and development for IDC, Inc., including the ModernSkiRacing.com website and forums. She also is actively involved in the development and implementation of new projects, With a minor in statistics and an extensive background in research, Dr. Liz will be providing research support and background information for the MSRT, as doing preliminary editing work. She is also involved in on-hill photography, and developing new technology for IDC's sites..
Larry started his racing career in 2004 when he met Gary and Liz Dranow. He was quickly introduced to NASTAR racing. After 30 years of all mountain skiing in Park City the change to a racing mind set was dramatic, swift and challenging. He raced and qualified for the NASTAR Nationals in the 2004/2005 season, his first major race ever and finished a respectable 7th out of 18 competitors in the Intermediate Class. In 2006 he raced in his first two Master GS's, qualified again for the NASTAR Nationals in the Silver class and this year took home the Sliver medal missing the gold by 9/10ths of 1 percent winning the second day's race. There were 23 racers in his class this year. Next year Larry will be racing a full Master schedule and plans on stepping up to the Gold Division at the NASTAR Championships. Larry has a 20 plus year background working with skis and boots in various ski shops possessing a very good working knowledge of equipment, tuning and boot fitting. He assists the MSRT at camps at every level, from camp operation to on hill administration.